Welcome to Roz's Kooma Clairvoyant page. I have been psychic all my life and love burning candles when I am doing readings to bring in the spirit guider even closer. I am also a gifted healer and have taught spiritual guidance. I have read for clients on a one to one basis, have done telephone readings. 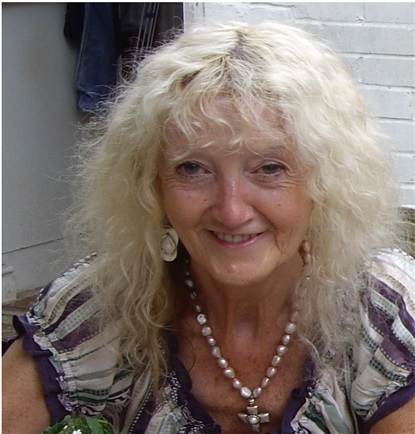 I have also done many psychic fairs in England and have worked in Spain and Belgium helping clients. Sometimes at the psychic fares I am asked to do healings for people as well. I work with my guides and often with relatives who have passed over. This validates and gives comfort to my clients. Clairvoyant, medium, healer and spiritual coach. I act as vessel and channel my guides advice concerning your past, present and future. In this, guidance is offered to help clients make decisions in matter of importance. I began as a healer and through the spiritual church I joined closed and open circles and began platform work. This was a wonderful beginning and it has become richer and deeper. People began coming to me and asking help. I wanted to help people and I seen to be guided to doing readings for them, since then I have never looked back. I have been giving one to one reading and telephone readings for ten years and have been qualified healer for about twenty years. There are many especially knowing the help it gives my clients. Serina come in to see me, she has been badly let her down by many men. My guider told her what to do and she listened. She is now blissfully married to an older Sardinian gentleman. Usually as pictures. Some times there is also feeling and hearing senses. Roz is simply fantastic. She works hands free and is spot on. She picks up information easily and has a lovely way of working with you. She gives an interactive reading so the more you participate the more you get out of it. Really a great psychic.